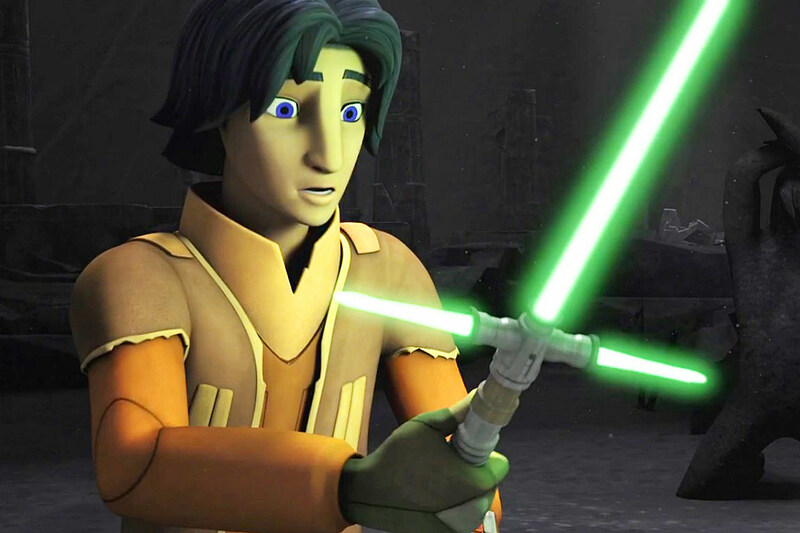 New 'Star Wars Rebels' Trailer Brings Yoda and ... Kylo Ren? Epic New ‘Star Wars Rebels’ Trailer Brings Back Vader, Yoda and … Kylo Ren? We’ve been heavily anticipating the return of Star Wars Rebels Season 2, not solely for introducing Princess Leia into the prequel series, but the latest sneak peek seals the deal. The most intense trailer for the series yet brings back a host of classic favorites, seemingly pulling Ezra to the Dark Side as well but … what’s this about about a nod to The Force Awakens’ Kylo Ren? There’s a crazy amount to digest in Entertainment Weekly’s new three-minute trailer for Star Wars Rebels’ return, not just for the returns of James Earl Jones’ Darth Vader (and a look at Rebels-designed Anakin) or Yoda, but also a number of unidentifiable Jedi figures, and a new master seemingly luring Ezra to the Sith. Not enough crazy? How about some four-way Inquisitor battles, a crazy-looking Jedi temple, what looks like nods to Star Trek’s famous orbital skydives, a Maul-ing old face, or a crossguard lightsaber that looks suspiciously like (but definitely isn’t) Kylo Ren’s? While we wait for Star Wars Rebels’ January 20 return, check out the clip below, and stay tuned for more details of that crazy trailer! Source: Epic New ‘Star Wars Rebels’ Trailer Brings Back Vader, Yoda and … Kylo Ren?